We offer a TIPM double relay repair service for applicable vehicles shown in green below or you can attempt to repair your own with the details listed below. The most common double relay repairs are door locks and front windshield wipers because these functions are used more than others. However, since both sides of double relays sometimes fail together, customers often have problems with other functions such as front or rear washer fluid and rear wipers. If your vehicle has two double relay functions that have failed, matching the chart at right, there is a nearly 100% chance the double relay has failed. Our repair service requires you to send us your TIPM where we'll then disassemble it and replace the faulty double relay with a new NEC/Tokin relay used on all repairs since 2014. This is a permanent fix that will solve your double relay problem without the high cost of a new TIPM ($1000+) or any reprogramming by your dealer. If your dealer tells you TIPMs can't be repaired, they are 100% incorrect and likely trying to get you to buy a new TIPM for $1000+. We repair around 200-300 TIPMs each year since 2014 for vehicle owners and auto repair centers. Please read our TIPM repair comments below or the impartial positive comments on the TIPM test/bypass cable that started it all. The most common repairs we perform are door locks and/or front wipers for 2011-2013 Jeep Wranglers, 2011-2013 Jeep Grand Cherokees, 2010 Dodge Nitros, 2010 Jeep Liberty, 2013 Dodge Caravans, etc. Many other vehicle year/model combinations have been repaired. All repairs carry a one year warranty and are normally performed within 24 hours by an engineer. We ship Monday through Friday and most Saturdays. Feel free to contact us via email or telephone with any questions you may have. If you would prefer to pay after the repair is complete, please make sure you include your contact information, email address, telephone number, vehicle year/make/model, and a description of the problem inside the box and we'll contact you for payment after the repair is complete. To verify that a TIPM Relay Repair is possible with your vehicle, please check the chart below. 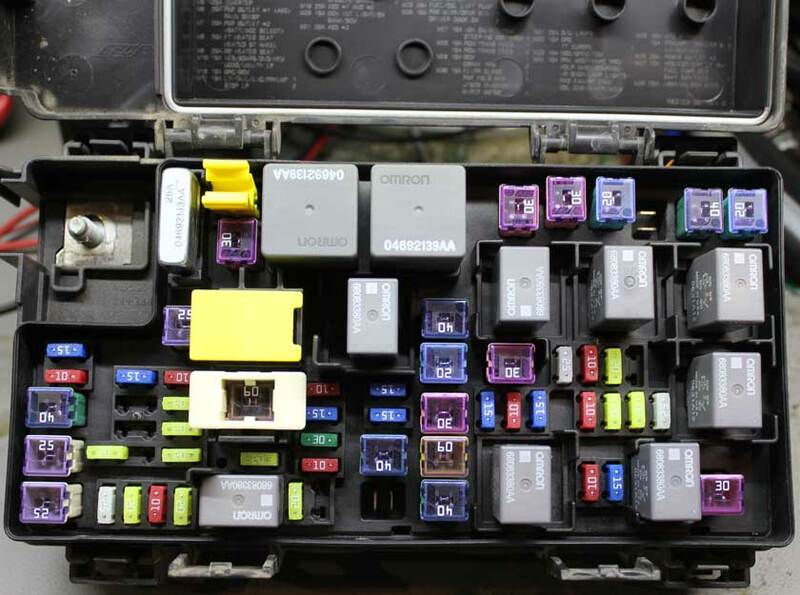 If you don't know the vehicle year/model or you'd like to confirm the TIPM style we can repair, make sure your TIPM looks similar to the following: TIPM-7 fuse box. It's normal to have fuses and relays in different locations on this style TIPM, depending on your vehicle options and model. Our shop has the capabiity to test and replace the fuel pump, front/rear wipers, front/rear washer, horn, backup lights, and door lock relays. Replacement of faulty double relay with a new relay used on all repairs since August 2014. This new relay is the most current version from the same manufacturer (NEC/Tokin) with an identical footprint and operating characteristics. We feel that installing the same problematic relay will only result in future problems. Visual inspection of all fuses (mini-blade and cartridge) and electrical testing of all rectangular gray plug-in relays using our relay tester. Approximately 1 in 7 TIPMs sent to our shop contain blown fuses. Price includes a one year repair warranty. All repairs will be performed by an engineer. Your TIPM will normally be received, repaired, and reshipped within 24 hours. If your TIPM is received on a Wednesday, it will be normally be repaired and ship on Thursday. Photographs of the repaired TIPM and a detailed analysis of your TIPM/relay will be provided via email. You'll need to remove the TIPM from your vehicle using the instructions below and ship it to us via any common carrier (12"x12"x8" boxes and bigger work best). It doesn't take much time (15-20 minutes) or skill to remove the TIPM and we can help you through the process (or you can hire a mechanic). Once received, we'll disassemble your TIPM and replace the affected double relay with a new relay. Our total repair time with new and old relay testing is normally 3 hours with all soldering and inspections performed under a microscope. Once you receive the repaired TIPM, you need only reinstall it in your vehicle and turn your key to the RUN position for 12 seconds. 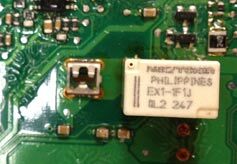 No reprogramming or any dealer involvement is necessary since we are simply desoldering the faulty relay and soldering a new relay on the circuit board. Additional details and instructions will be sent to you once payment is received. This is a permanent fix with the installation of a new relay. We highly suggest you call or email us with any questions or concerns you may have. Another great option to consider is to initially purchase one of our TIPM test/bypass cables to confirm your faulty fuel pump relay problem, then we'll credit the full cost of the cable (less shipping charges) if you purchase TIPM repair service from us. Simply contact us for this deal. Removal should take 15-30 minutes. Confirm that your TIPM is from one of the applicable vehicles shown in green and your double relay is indeed faulty. Call or email us first for TIPM repairs on vehicles not listed above. 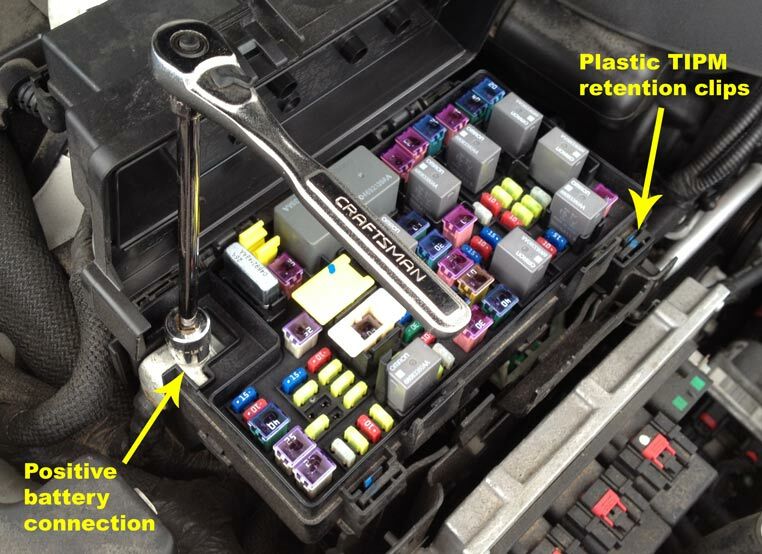 Locate your car battery and remove the negative (black) terminal. Some batteries are located under the passenger seat. This will prevent any accidental electrical shorts that may occur as you remove the positive (red) terminal from your TIPM. Do not remove any fuses, relays, or other devices. Remove the positive (red) battery connection in the upper corner of your TIPM. You'll need an open end wrench or socket to remove a single hex nut. Release the four plastic retension clips that secure the TIPM to the vehicle and lift the TIPM upward slightly. Unplug all seven cable harness connections to the TIPM. Each connector can be released by pushing a center release latch and rotating the locking arm, All connectors are color coded and keyed, so there is no need to remember or mark their locations. Please keep the TIPM lid attached during your shipment to us. If you have already dissembled the TIPM and only need relays replaced, contact us for a discount on the price. Purchase the TIPM Double Relay Repair Service above. Additional instructions and confirmation of the ship to address will be provided to you via the email address provided to us. If you'd prefer to pay after the repair is performed, please make sure you include contact information, email address, vehicle year/make/model, and a description of the problem. For the fastest service, payment prior to sending your TIPM is suggested. Carefully wrap your TIPM in a plastic bag and bubble wrap, then place it in a cardboard box. We normally use 12"x12"x8" boxes from USPS. Ship your TIPM to us at the above address. USPS, FedEx, UPS, DHL, or any reputable shipping company is recommended. Please provide your shipment tracking number to us, if available, so we'll know when to expect your shipment. When we receive your TIPM, we'll send an email to let you know that we've begun your repair work. After your TIPM has been repaired, we'll email you again with the results, photos of your new relay, and a repair checklist. Please be aware that our repair service normally involves replacement of double relay(s) along with other related services as needed (trace repair, etc.). Additional relays can be replaced, such as those for the fuel pump for a small additional charge. Our repair service is normally performed within 24 hours and shipped back to you via USPS or FedEx. We'll provide tracking information to you at the time of shipment. Our detailed process begins by photographing the entire TIPM, including the fuse layout. We utilize a two-page system checklist that facilitates an accurate and thorough repair. We then remove and check all mini-blade and cartridge fuses. We find blown fuses in approximately 1 in 7 repairs. Relays and other devices near the fuses are removed and set aside. The TIPM enclosure is disassembled and all six circuit boards are slowly removed, providing access to both sides of your relay(s). At this point, your TIPM will look similar to the disassembled TIPM shown below. The affected relay(s) are tested by applying 12VDC to the coil while measuring continuity and coil resistance. All resistance values and findings are logged in our system checklist. Most continuity checks are performed using locations as far downstream as possible. Once we've determined that your relay is faulty, we'll desolder it from the circuit board and inspect it via microscope. The new relay will be tested and soldered to the circuit board under a microscope, then tested again. All six circuit boards are reinstalled into the TIPM enclosure and all fuses and plug-in relays are inserted. All faulty relays removed from the circuit board will be sent back to the customer. If we find that your relay is not faulty, we may continue with relay replacement(s) since they sometimes fail intermittently and the majority of our repair work involves disassembling the TIPM in preparation for testing. In this situation, if you find that the relay wasn't the real problem and your vehicle still has issues, we'll work with you to provide a fix or offer some financial relief through a partial refund. Please be aware that our TIPM repair service focuses on relay replacements to solve problems with your fuel pump, front/rear wipers, front/rear washer, horn, backup lights, and door locks. We can also perform minor repairs such as damaged traces and loose connector pins. Do not send us your TIPM and expect problems beyond the above items to be solved. TIPMs are complex and some problems are due to issues outside the TIPM. A door lock relay repair will never solve problems with your headlights or air conditioning, nor will our repair cause problems like this to suddenly appear. If you are experiencing issues with your check engine light, headlights, warning symbols, windows, air conditioning, radio, a failure for the starter to attempt to rotate the flywheel, or similar problems, please visit our Other Solutions page. Alternately, we often suggest that you look into purchasing a new or used TIPM if you are unable to solve the problem. All TIPM repairs come with a one year warranty. If you continue to have problems with any relays that were replaced, we will make things right by repairing and shipping your TIPM both ways to identify the problem or refund your money. If we find no problems or defects with your relays, we normally proceed with relay replacement and advise you of our findings. We do this because some relays fail intermittently and for peace of mind. However, if you find that your problems still persist, we will refund all of your money except for a $95 diagnostic fee (plus return shipping) as we don't want you to incur the full cost of the repair if your problem isn't resolved. 1) Can you change all my relays while you have the TIPM broken down on your workbench? Answer: Yes, but we don't recommend it. We normally try to talk people out of doing this because a used TIPM might be cheaper and there is often no need to fix what isn't broken. Fuel pump relays are the vast majority of our repairs, but we are seeing an uptick in front wiper on/off door lock double relay repairs. These are the main three that fail and I would suggest you focus on these if you still want to change relays that are the most problematic. Within the TIPM, there are 3x single relays (5 pins each) and 4x double relays (10 pins each). Double relays are harder to get to and one of them is somewhat hidden under a plastic cover. When I'm changing out a a fuel pump relay, it's only 5 pins I have to worry about. When I change all relays, I have to worry about 55 pins being tested, desoldered, resoldered, and tested properly, which is more than 10x the risk. If any one of the pins is not soldered properly, it's a problem that we have to address. Plus, many of the double relays are difficult to inspect after soldering. It's tough to describe in detail how much more difficult it is to work on double relays versus single relays. However, if you're still interested in having them all changed, please contact us for a custom quote. 2) Can you at least check all my relays while you have the TIPM broken down on your workbench? Answer: We do not offer this service due to the risk in damaging transistor arrays on the TIPM circuit board. Not long ago when we did offer this service, 99.99% of the time we never found anything wrong outside of the double relay that was problematic. It's unlikely that we'll find anything if you're not experiencing any problems with relay driven functions. It's quite complex in how these relays need to be checked in order to prevent a transistor array failure. We actually have to desolder one of the relay coil leads and isolate it from the TIPM for testing purposes. Double relays are either working or not.....in that they don't normally fail intermittently. However, we do understand some people's line of thinking in wanting to test them all. However, as long as you verify functionality of all your door locks, front and rear wipers, and front and rear washer fluid prior to sending to us, your TIPM will be fine. 3) I just received my repaired TIPM and installed it in my vehicle, but I have no power (or it won't start or has other strange issues). What now? Answer: We receive calls just like this every 2-3 weeks and 100% of the time the problem was the improper installation of the TIPM in the vehicle. 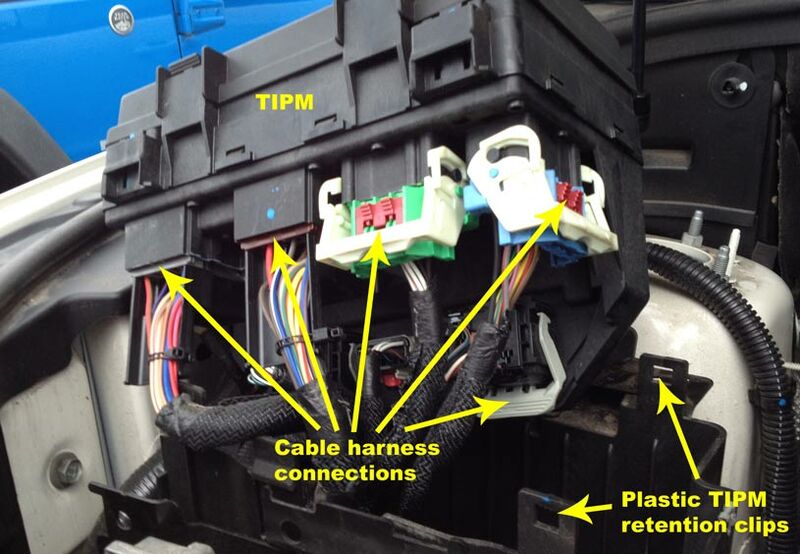 Our customers sometimes fail to properly seat one or more of the seven connectors under the TIPM. Sometimes customers break the two black plastic knobs/posts surrounding several connectors, which are used to secure the connector into the TIPM. Our recommendation has always been to remove each of the seven connectors, check all pins to make sure none are bent, and then fully reseat the connector. So far, every customer was back on the road after performing this step. 4) Can my dealer repair the TIPM? Answer: No. TIPMs are not dealer serviceable items and no dealer will repair them. There are only a handful of companies in the world that do what we do. TIPM repairs involve disassembling the TIPM by trimming small areas of plastic to gain entry coupled with soldering on circuit boards under a microscope. Most vehicles owners do not have the experience or equipment to perform the repair on their own. For those who possess advanced soldering and electrical skills, it may be possible to repair your own. If you're up for a challenge, you'll need to purchase a new NEC/Tokin #EX2-2U1S relay and replace the existing faulty NEC/Tokin #EX2-2XXX relay. You'll need soldering skills, a microscope, and several hours to carefully disassemble the TIPM. Be sure to take a photo of your fuse layout before disassembly. 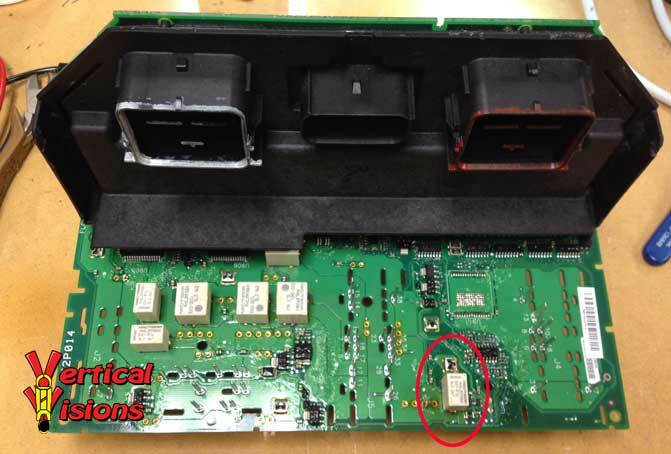 Keep in mind this TIPM is not meant to be serviced by your dealer and it contains multiple circuit boards, so you'll risk damaging it if you can't figure out how it comes apart. Jason just wanted to thank you again and let you know everything worked fine...started up 1st time and no issues at all...Have been driving the car a few days now..I will recommend you to anybody I deal with Thanks! - April 16, 2018.